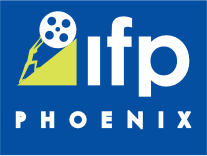 Hey Phoenix Film fans – great news! If you missed at this year’s Phoenix Film Festival, you’ll now have a second chance to catch the Academy Award nominate film “Kon-Tiki” opening this weekend at Harkins Camelview. Based on a true story, “Kon – Tiki” is the journey 5 men took in 1947, crossing the Pacific Ocean n an effort to prove that South Americans first inhabited Polynesia, pre-Columbian times. Journey leader and Norwegian explorer Thor Heyerdahl (Pål Sverre Hagen) enlisted 5 men to help prove his theory of South American first settling Polynesia, rather than people from the west. Using the same construction design and materials that the ancient settlers used, the Kon-Tiki left Callao, Peru on April 28, 1947 heading west towards Polynesia. The men were smart enough to bring along several modern items to help communicate if there were an issue, but several dangers lay ahead for the crew of the Kon-Tiki. The route chose was by traveling the Humboldt Current, which the calculated should take them around 100 days to reach their destination. As with any journey, this one proved to be challenging from encounters with sea life, fierce storms and intense water logging of the boat. Tempers and egos flared, but will they reach their destination or will the men need to be rescued along the way? Thor Heyerdahl originally filmed a documentary about the journey on the “Kon-Tiki” which won the Academy Award for Best Documentary in 1951 and also was a best selling novel first published in 1948. This retelling of that fantastic voyage is a bit of a nail bitter if one is not familiar with the story. The cinematography is amazing, the story is interesting and engaging, and the acting is well done. This is a film that needs to be experienced on a large screen, so be sure not to miss out when "Kon-Tiki" opens at Harkin’s Camelview starting Friday May 3, 2013.